Industrial catalysts are often subjected to drastic conditions affecting its performance and modifying their properties. 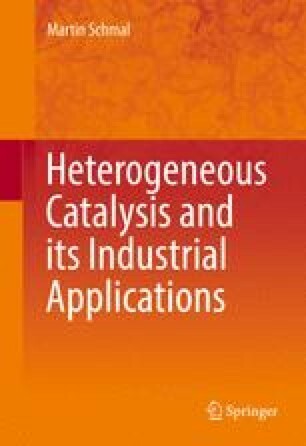 It is aimed to describe the catalysts of industrial processes, but understanding the changes undergone during the process and caused by different thermal treatments or chemical and the possible causes of changes that cause disabling, poisoning and sintering. Being impossible to test in real conditions is suggested here to test the catalyst in a process similar industrial conditions in a system “scale down”, using the same variables, forced or not. Here are some examples of typical catalysts and industrial processes.